Le 1s has a trendy full metal Uni-body - one of the few brands in the market worldwide to boast of this. The Le Superphone is possibly the world's only all- metal body device crafted with aircraft grade aluminium, that feature a screw-less industrial design with no visible trace of industrial assembling that mark the aesthetics of the device. The metal design not only enhances the looks but also strengthens signal receiving capability. 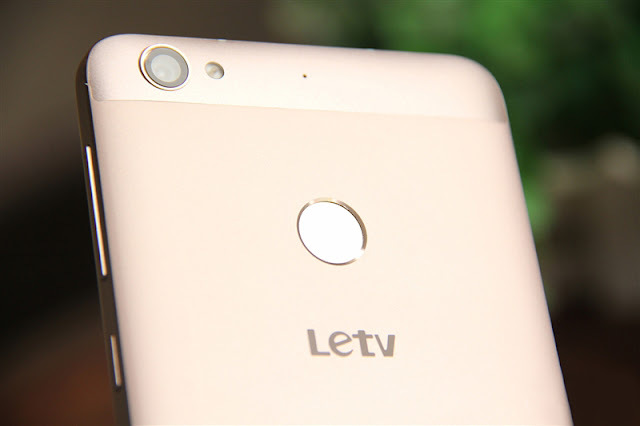 Compared to Redmi Note 3, the Le1S is 13% slimmer and sleeker measuring just 7.5mm, as against 8.65mm of Redmi Note 3. It also has a bezel-less design which is a unique design element. In terms of the processor too, Le 1s is on a strong wicket given that it is powered by an octa-core 2.2 GHz CPU as opposed to hexa-core 1.8 GHz processor that powers the Xiaomi device. Moreover, LeEco's Le 1s costs Rs. 1,000 less and comes with the latest USB Type-C connectivity port. The Le1s' revolutionary Type C charger also makes charging quick -- just 5 minutes of charge gets you 3.5 hours of talk time! The reversible USB Type-C connector is technologically ahead of its competitors in many ways such as it has an additional sealing and PTC protection in-between wires, which is an industry first. All of this makes the device future-ready. The Le1s also offers users a branded toughened glass protection - the Corning Gorilla Glass 3, a feature that only high priced flagship phones currently offer. Xiaomi's Redmi Note 3, however have overlooked this key aspect of a branded toughened glass protection, leaving consumers vulnerable to phone damage due to mishaps and accidents. Moreover, the Le 1s boasts 4K video recording, which none of its competitors offer. Markedly absent in the Xiaomi Redmi Note 3, is the 4K video recording feature despite the higher pricing. The Le1s is a budget powerhouse and heavy gamers are sure to enjoy the Le1s' stunningly smooth gaming experience. The phone is also packed with 3GB of RAM offering the joy of multitasking. It is no wonder that Le1s has been the top seller in China since its release last October - having sold more than 2 million units in just two months and has created several industry records in India as well. Not to forget the content ecosystem that is a LeEco exclusive that is going to be a game changer, going by the definitive edge that it has given the brand in other global markets. Le 1s is therefore not only a best-in-class smartphone but offers consumers a truly redefining comprehensive eco-system experience. Buyers of the Le Superphone can expect a content ecosystem to be uploaded into its android-based EUI system in the second quarter of this year since the company has already signed contracts with Eros and Yupp TV. The company has inked a deal Eros Now for Video-on-demand (VOD) and with YuppTV for TV content streaming. The company's after-sales policies are also best-in-class with 555 service centres in prime locations in the country, besides providing 24*7 toll free services, and other value-added services.